Verona Quartet begins the program with Ludwig van Beethoven’s String Quartet No. 16 in F Major, op. 135, one of his final works that some consider a culmination. After a brief pause the quartet takes on Karol Szymanowski’s String Quartet No. 2, op. 56, a piece that highlights the composer’s original style. After an intermission they present String Quartet in E Minor, op. 44, No. 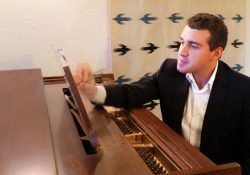 2 by Felix Mendelssohn, a vibrant work that exemplifies the composer’s genius and wit. 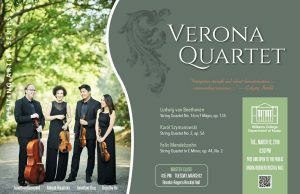 2017-18 season highlights include the Verona Quartet’s Kennedy Center debut presented by Washington Performing Arts, as well as concerts spanning from New York (Museum of Modern Art and Merkin Concert Hall) to Vancouver (Vancouver Recital Society) to San Francisco (Morrison Arts Series, SFSU). They also perform for Chamber Music Northwest’s Winter and Summer 2018 Festivals in Portland, OR, as part of CMNW’s innovative Protégé program, where they collaborate with eminent chamber musicians. 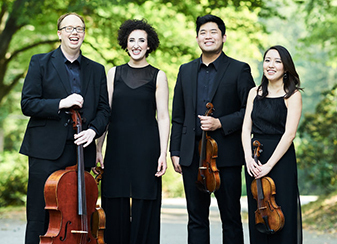 In addition, the Verona Quartet has been selected by New York’s Caramoor Center for Music and the Arts for its prestigious Ernst Stiefel String Quartet Residency, encompassing performances, educational residencies, as well as a concert at the 2018 Caramoor Summer Festival. Selected by Musical America as “New Artists of the Month” in May 2016, the group has garnered worldwide recognition by winning top prizes at international competitions across four continents: the Wigmore Hall International String Quartet Competition, London; the 8th Osaka International Chamber Music Competition, Japan; the Melbourne International Chamber Music Competition, Australia; and in the US at the Coleman, Fischoff, and Chesapeake Chamber Music Competitions, and the M-Prize International Chamber Arts Competition. 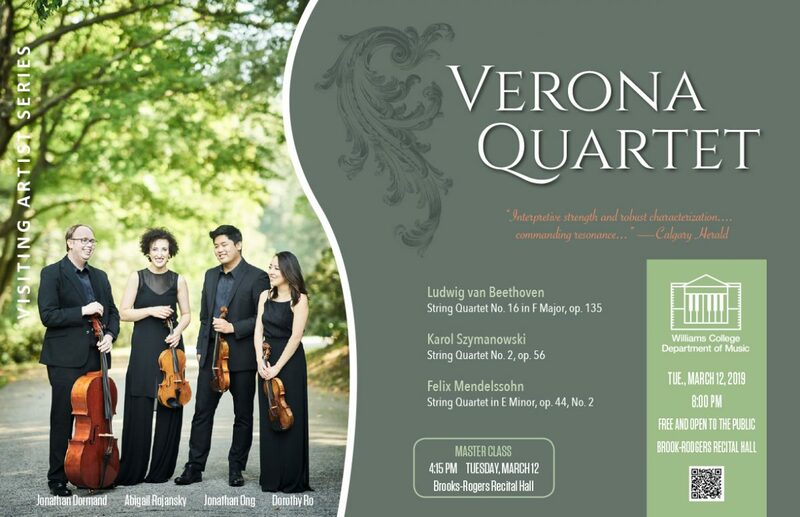 The Verona Quartet’s members hail from the USA, UK, Canada and Singapore. 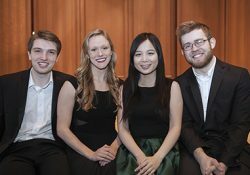 They were the inaugural Graduate Quartet-in-Residence at Indiana University, where they were mentored chiefly by the Pacifica Quartet, as well as Alexander Kerr, Atar Arad, Ik-Hwan Bae and Eric Kim. 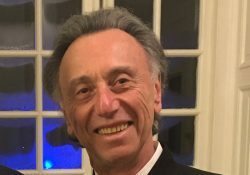 The Quartet has collaborated with artists such as Cho-Liang Lin, David Shifrin, Renee Fleming, and has worked with members of the Alban Berg, American, Brentano, Cavani, Cleveland, Guarneri, Juilliard, Tokyo and Vermeer Quartets.